Lot of new screenshots and infos in Forgotten Frontiers topic. Forgotten Frontiers Closed beta started today. You can download it here. All characters will begin at level 1 however the experience curve required for each level is drastically reduced. This means that within the short time that the beta is being held you should be able to get up to level 83 while still being able to test out all facets in between, such as the new PvP! The amount you gain at early levels may not seem incredibly different, but as you get higher levels the experience it takes to level up will be only a fraction of what the level might normally require. Please remember that this is a beta test, and all characters created on the test servers will be wiped before the expansion launches later this month. Ronark Land Base: Ronark Land Base is a new PvP zone for players from levels 35 – 69. Winning grants Nation Points and experience. Dominion of Krowaz: This is an adventure event similar to Eslant Battle Traps confronting bosses and ultimately taking on Krowaz, the God of Death and General of the Nightmare Army. Oreads: A new additional Lunar War Map, the map used in World Championship. Cursed Weapons: Brand new weapon types that inflict debilitating status effects upon the enemies, must be constructed from the items harvested from Dragon Horse Tribe members and Fossils in Ronark Land. The Cursed Weapons will gain new attributes when upgraded. Monster’s Stones: These are the stones dropped from monsters throughout the world of Carnac. 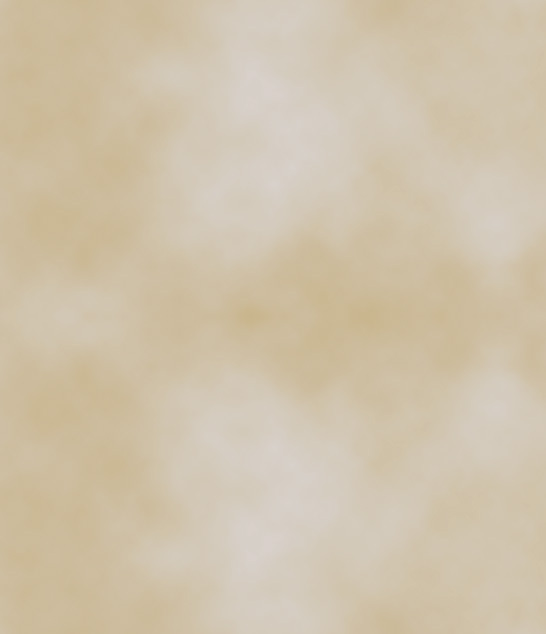 Using them will teleport the player to a special zone where the player will battle with the monster named in the stone. Victory here grants you an Old Unique Accessory. Monster’s Stones are unusable in Moradon, Delos and event dungeons. Customizable User Interface: Many changes have been made to the user interface. Windows are now customizable and maybe moved to wherever you did like. Captain Cougar is finally returns from his long vacation! Last but not the least….. BiFrost Returns!! Yes, i played it already and I posted my 1st impressions and screenshots from beta here of our forum. Registration for beta if new expansion has begin today. I added in hot review of new expansion new experience quests and official info about registration in beta. Ugluk-Ha posted on our forum a lot of interesting stuff about new expansion, I merged it to Final Frontiers review. Also added official infos from producer who is talking about new features in Knight Online. I have good news, there is new expansion coming soon - Forgotten Frontiers - and I made little review of it. Both trailers won fraps contest by K2 Network :) For better experience I suggest download high resolution versions. Enjoy! 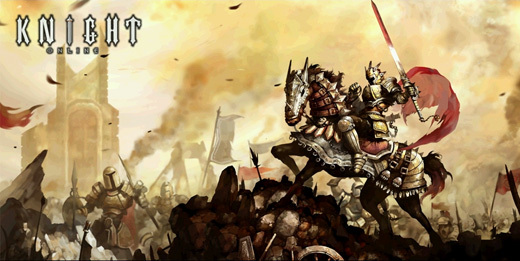 600 players per server will be allowed to register for Knight Online’s Inter-Server Wars. The preliminaries will be held on August 29th & 30th at 10:00AM PDT / 20:00 Eastern European time. The finals will consist of two wars, the first starting at 8:00AM PDT / 18:00 Eastern European Time and the second starting at 12:00PM PDT / 22:00 Eastern European Time. A special server will become available for players that have registered successfully when the wars are about to begin. Players MUST create a character on the event server that corresponds to the world that they registered from (example: If you registered on Ares, you must create a character on the special event Ares server). The created characters will begin at level 70. Additional instructions for obtaining gear for these characters will be posted on this page closer to the event date. To register, please login to the game, access the Power Up Store, and click the registration button starting on August 24th (Must be at least level 20 to access the Power Up Store). This announcement is to remind players that bug abuse carries a 30 day ban and possible account termination. Some players have asked about being able to switch between the Abysses on server 2 and server 3 to fight Isiloon and Felankor. This has been determined to be bug abuse and players found to be doing this will be banned for 30 days. The development team is working to have this bug fixed at this time. We thank our community that plays by the rules and look forward to great times ahead for Knight Online! So now Dragon Marble abusing is illegal. Good Luck and Have Fun on War! I have some REALLY exciting news for all of you today! We have launched the Open Beta for the new expansion for Knight Online so that all of you can experience what is coming in the very near future. It is still a work in progress and there may be issues that you will experience. There is a section in the Official Knight Online Forums titled, "New Expansion Bug Reports" which was created so that the entire community can report any issues they encounter while playing the Open Beta. So nice expansion :D Quick review will be updated daily. Thing worth mention is K2 deleted finnaly Abyss Fires. No more dupers with 9999 this very rare item. Don't forget about forum, there is special topic about new expansion. new section - 70+ exping guide - check what is best to kill for level 70+ character. big addition in section mage's damage written by pro paper mage from USKO Berasmus, Szaraczek. Ah, I forgot to write in last news. Good news for new players and people who like start over and over again on new servers. There was launched new server in USKO - Girakon. Enjoy! Finally made some updates here :D The bad news is Kalais' Library changed again url after problems with previous hosting. Now it is ko.kalais.net, maybe I will buy new domain later. new section - KO Evolution - about new big expansion for Knight Online game containing new moradon, new zones, new events, new monsters, pets and other new game features. You may need install divx web player do view some movies. Go to new section - KO Evolution - and see what awaits you! There are some very bad news for all MYKO players. Yesterday e-games (owner of MYKO) announced Closure of Knight Online Malaysia. It’s with a heavy heart that we announce that the contract of Knight Online Malaysia is coming to an end on the 30th of June 2007. This may come as a shock to many of you but we are trying our utmost best in requesting for an extension of the contract but to our dismay, our request has been so far denied and we will no longer service MYKO any further then the given dates. As you may know, the extension of the games contract is solely on the developer’s decision for continuation. Read full article here (myko website). P.S. Still waiting for more votes! ;) Vote here what updates you want see on this site. Kalais' Library is back to life! I know cheating situation changed a bit in USKO, it is not good but better than it was since last news. There will be new updates soon. Items stats, new guides, movies and some suprises. Stay tuned! P.S. I want bring forum back to life too, vote here what updates you want see on this site. Well, yes, I havent update this site long time, because all me free time what I can spend for KO was spending in-game. But today I decided to quit KO. 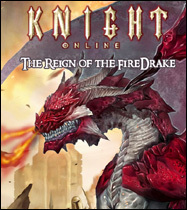 Knight Online which is hosted by worst company I ever saw - K2 Network - became Massive Multiplayer Cheating Online aka KOXP Online. K2 doing nothing to stop the cheaters. ASFAIK it is like 30 minutes or maybe less to write script which detect koxp and ban all accounts which use it. But K2 will not do it. Why? Because every koxp account is premium account, if they ban koxp, they ban their money income. K2 dont care about players, they care only about money. When Game Master login, once for a month or two, he doing some stupid events. In same time, when gm is ONLINE (omg he was really in-game, do u belive it?) you can die in your own base from dead cheater who is killing everyone. Yesterday there was like 50 dead bodies on ares2 in human town. Two dead koxpers was killing every human. Even when you escape, there are thousands of other cheaters who will kill you with arrow shower hack, even warriors cant outpot it. This game aint fun anymore! I not even mention all those macro parties in elmorad and karus, leveling and farming 24/7. Assasins who shot arows from daggers! Priests who siting and healing siting, archers siting and shoting, autoloot etc. There is a liitle hope to fix it. K2 Network care only about money, right? So there action called "No Premium In November". How it works? To show your disagree for all kind of cheating just dont buy new premium, dont buy it. If the worst company ever aka K2 will see people stop paying for premium maybe they will realize that it is time to ban koxpers. Click here for original idea. It is sad that so good game is ruined by so bad company. Like 1 months ago on USKO was launched new server - Manes. With Fire Drake Expansion will be launched new world - Pathos. On MYKO there was "15% Experience and Discount Event". This events was start from the 24th - 31st of July 2006. Read more about Fire Drake Expansion here (official infos). Full official informations about Knight Online World Championships are available here! Knight Online World Championships is coming! United States Knight Online to fight against China Knight Online, Japan Knight Online, and Korea Knight Online! War dates will be May 29-30 and June 1-2, 2006 PST. P.S. I am wondering why Karus Chitin Rogues got axes in hands. I think it is very old trailer, maybe KO was under development when this trailer was made... Still, very nice! P.S.2 Want to share your thoughts about this trailer? Comment movie on forum. Clarity Potion – The potion of recovery gives an increase of 3600 HP & 3000hp Recovery 100 hp every 2 seconds for 60 seconds per usage. Vegetable Dumpling – Each usage of this increases your running speed for a duration of 1 hour. HP Rice Cake – The rice cake increases your max hp by adding on 1500 hp to your total hitpoints per usage and has a long duration. Speed Up Rice Cake – This Rice cake increases your movement speed by 150% and also has a long duration of usability. In decision to balance both sides 5th May 2006 until 12th May 2006 there will be nation transfer available. Note that is only for Xydonis and Odin servers. You will be able to make nation transfer from human to orc only. It costs 500 e-points. More official info here. updated hit points data of Bosses. December 18th, 2005 Final War - Ares vs. Diez - The First Inter-Server War Victor - ARES! Today and tommorow on USKO there is a SECOND INTER-SERVER WAR. Out of the 3 semi-finalists, the one server that has the highest kill ratio will immediately go on to the Championship Round. The two remaining semi-finalists will battle it out to earn the right to fight in the Final Championship Round. Sign up via the Power Up Store and the first 400 users from EACH NATION will be able to register. Users will have a one way and one time copy of their character onto the Special Event Server. This character copy will not be reusable or be saved. Minimum 2% EXP will be given to all event participants with a chance to get up to 10%. More official info here and here. Good luck! few days ago updated board - new sections etc. Another update, this time for those who like artworks! just added 2 new Fan Arts and made there new interface to view works. I see some more people found forum usefull. It is nice! Remember, you all are welcome there :). added upgradable armor stats for warrior and priest, so most wanted section is complete! updated drops of Attila and Isilion in boss section. Few days ago new patch for USKO updated one of the most famous and hated bugs in Knight Online - Attila's bug. Now this boss drops Warrior, Priest and Elemental Pendants not only on Karus side, but on El Morad side too! Also few days ago USKO received new website. There is more information about game than on previous version, but info about items and bosses is outdated/bugged. So if you looking for stats for boss or items look only to Kalais' Library because only here you can find proper stats in english language. Weapon stats coming soon! Not Knight Online related information, but I decided to put it here because we all know how strong emotions ;) makes in many players K2 Networks. "Webzen Inc. announced the company established a publishing license agreement with K2 Network Inc. for their MMORPG MU online. MU online global server is scheduled to be commercialized during the beginning of 2006. With this agreement Webzen will be able to service MU online in both the American and European region through K2 Network for 3 years after commercialization. The license agreement amount of US $2,000,000 is the highest global server publishing license agreement ever made by a Korean game company." Source - yahoo, read more - click here. If you got any interesting news post it on forum! On nice polish KO forum I read that on MYKO you can buy Glass Belt in Power Up Store, I was kinda shocked because it must really unbalance market. Well, I visited MYKO site and I find out they selling not only Glass Belts but many other uniques, shell armors and interesting scrolls like Mount Scroll (By right clicking on the scroll, automatically activates the 50% experience increase. Duration - 1 hour) or Monster Summoning Staff (Summons a random Boss Monster). My personal opinion about this is MYKO is kinda falling down, not many people playing it, so e-games adding this unbalancing stuff just to make money or maybe they count for new players. I don't know. Here are links to MYKO's PUS items: Page 1 and Page 2.
added new section about bosses, you can check there how they look, what they drop, how many hit points they have and more! just added forum, I hope you will find it usefull! Uploaded unique accesory section with very usefull script for fast finding item what you looking for. Also added guide for priest. 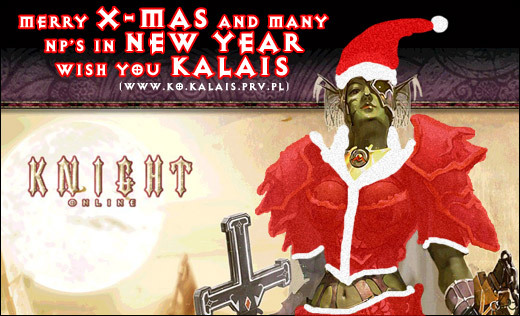 Welcome on new Knight Online Fansite - Kalais’ Library. My name is Kalais and I made this site. You can know me from US version of KO, I play el morad mage on server Ares. Long time ago I have been playing MYKO, but I get bored there and sold my char. Ok, but the site is not about me, but about KO :) I made this site, because there aren't many KO fansites and I wanted to have all interesting things about KO in one place. Most of info here is from diferent forums and official sites so in most cases I am not the author, I just collected all usefull and helpfull infos and puted on this site. Some sections are still under construction, some sections will be updated when I found something new. I will probably add screenshot section also. The sucky thing is, that I dont have broadband atm because I am waiting for new internet connection so I am unable to do some actions like downolading new KO movies etc.